Reading Students’ Lives documents literacy practices across time as children move through school, with a focus on issues of schooling, identity construction, and how students and their parents make sense of students’ lives across time. The final book in a series of four that track a group of low-income African American students and their parents across a decade, it follows the same children into high school, bringing to the forefront issues and insights that are invisible in shorter-term projects. This is a free-standing volume that breaks new ground both theoretically and methodologically and has important implications for children, schools, and educational research. Its significant contributions include the unique longitudinal nature of the study, the lens it casts on family literacy practices during high school years, the close and situated look at the experiences of children from communities that have been historically underserved by schools, and the factors that alltoooften cause many of these children to move further and further away from school, eventually dropping out or failing to graduate. 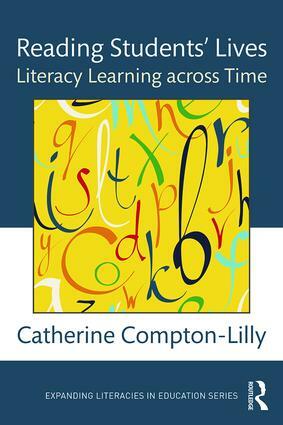 Catherine Compton-Lilly is Professor of Literacy Education, University of Wisconsin–Madison, USA.